This store is located in the heart of Trinidad town and offers "distinctive wares from the global marketplace". We search the world for distinctive jewelry making items and gifts. We take pride in carrying various types of jewelry, craft shells and Abalone beads. We also have many types of finished jewelry such as natural green Abalone earrings and necklaces. We also have helpful articles to assist or educate you in the history of some of our unique items. We are a noted source of Dentalium Hexagonum, Ojime Beads, Dentalium Vulgare and other rare craft shells used to make jewelry. We also carry finished jewelry, Red Abalone, Green Abalone and Mirage Beads. This is a great place to purchase unique gifts. This is Trinidad's grocery store. Camping supplies, some organic/local produce, fishing gear, and beach toys, can be found here. 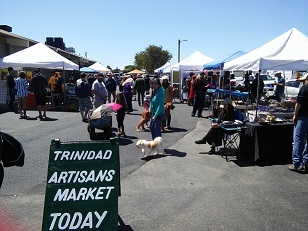 Every Sunday from 11am-3pm there is an Artisans Market in Trinidad at the Saunders Shopping Center. It starts in the Spring and runs through September. It includes local musicians, delicious BBQ and handcrafted items by local artisans. Stop by here and check out what the artists have to offer. Location: Next to Murphy's Market in the side parking lot. 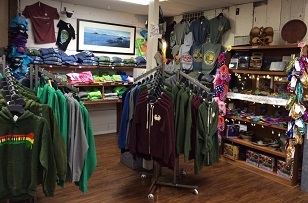 For you shoppers, enjoy our gallery and gift shop filled with creations by local artists, sweatshirts and even a little something special for the kids. Come and experience the quaint town of Trinidad for yourself while dining with us. 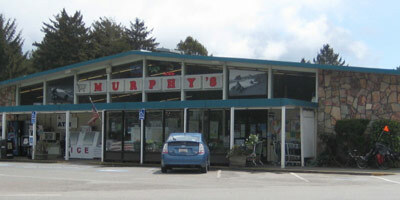 Saltys Supply Company is your go to shop for bait, tackle and surf in beautiful Trinidad, California. We specialize in ocean and river sportfishing gear for all Trinidad area fishing spots. 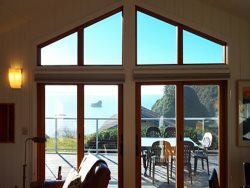 Throughout the year, our local catch includes Lingcod, Halibut, Salmon, Rockfish, Cabezon, Kelp Greenling, Steelhead, Cutthroat, Dungeness Crab, Clams, Surfperch, Sanddabs, Flatfish and more. Our experts are here to help you navigate your Trinidad fishing experience. Saltys is now the new home of Devonian Custom Rods. We can repair any part on an existing rod or help you build a new rod from the ground up. 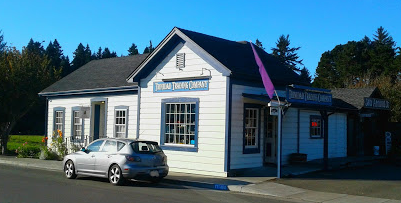 In 1991 we opened our first gift shop in Trinidad, California. After 20 years in business we thought, why not offer our best selling jewelry to other retailers? 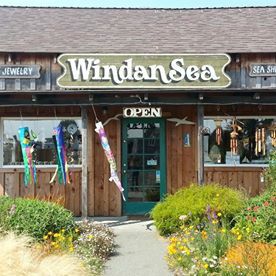 Windansea Jewelry is a line of beautiful handcrafted abalone jewelry which gives your customer timeless style and value. We work directly with the artisans who create this jewelry assuring top quality and the best price. Many souvenirs such as hats, shirts, hoodies, mugs and more can be found here. Many gifts inspired by the ocean are offered as well.